My husband and I started to transform what used to be our guest bedroom into the nursery a few months ago. We started the process started off by painting the original boring beige walls the perfect shade of pale pink and we replaced the original ugly light fixture that used to be on the ceiling with a chandelier (original before and after posts here and here). 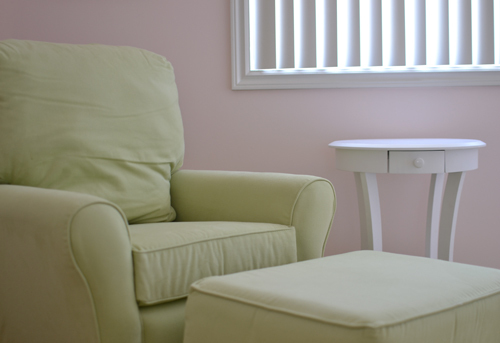 I knew I wanted the room to be a soothing, calm place so I kept the wall decor to a minimum and chose the color combination of pale pink, light sage and white. In addition to meeting so many of the talented bloggers I admire, one of the highlights of attending the LuckyFABB conference in Santa Monica last April, was seeing the beautiful Jessica Alba and her business partner, Christopher Gavigan speak about their passion project, The Honest Company. For those of you who may not be familiar with The Honest Company, they make all natural, eco-friendly products for baby and home. After hearing them speak, I instantly knew that I wanted to use Honest products for our baby. Anything that's safe for our baby and the environment is a win win. To any of the mommies out there, I'd love to know what baby products you can't live without! Little Castle "Cottage SS" glider and ottoman in "Twill Jolie"
Just beautiful! You did an amazing job! Aw, Audrey this is darling!! 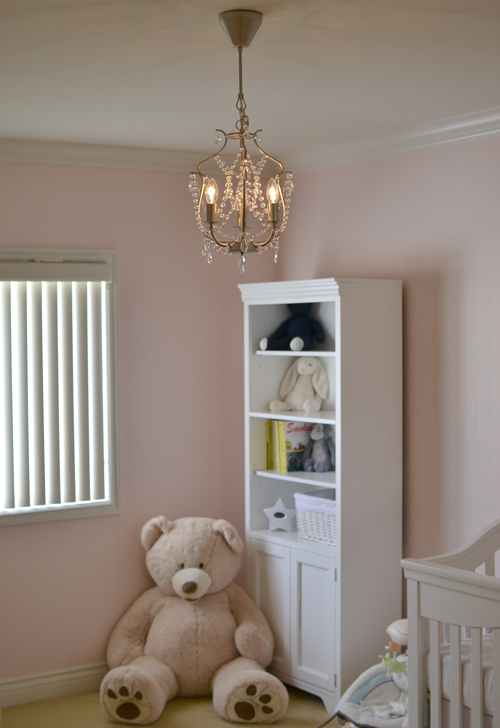 The nursery itself is so pretty - I adore the little bassinet and the chandelier! And the leopard print diapers are beyond adorable!! Haha, what a stylin' little babe you will have! I went back and forth between cloth diapers and disposables and when I heard about The Honest Co. I was sold as well! Can't wait for baby to get here so we can actually use them! 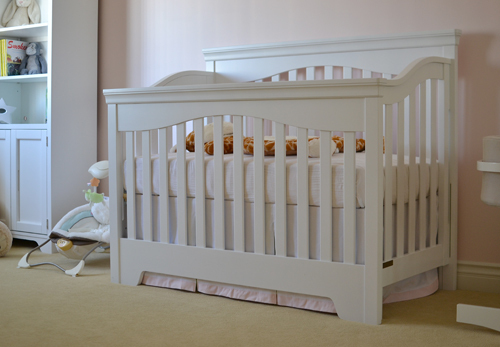 love the pale pink and white theme and those diapers are just the cutest! What a beautiful job! The decor is just perfect. I love the little touches like the canvas and teddy, and the chandelier is stunning! 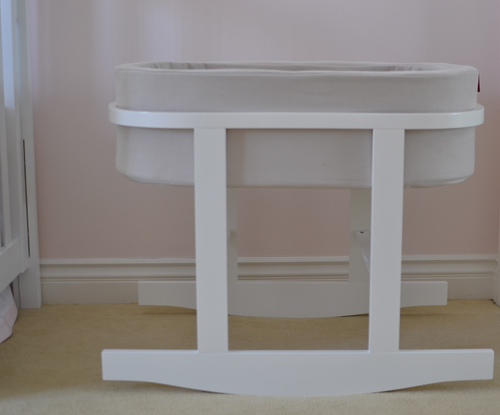 That bassinet is adorable! I love that there are more modern designs coming out! 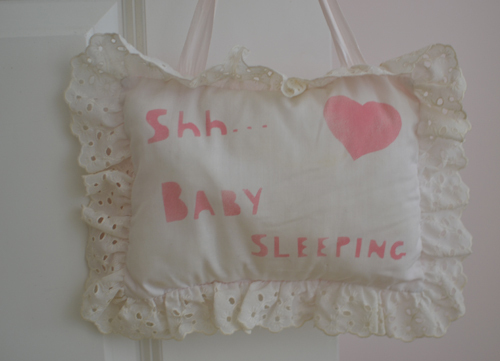 Maybe there will be something in there that you can use for your new baby girl. This room and all these details are so wonderful ! You are already such a great mom! In love with this room! You've done a beautiful job decorating! love the colors - so lovely! omgoodness....so adorable!!! makes me wish i was having another one! you are going to be one cute mama/daughter duo! Beautiful and so soft and feminine for a lil lady! I use HONEST diapers and products for my lil guys and LOVE THEM. Connor is now pottytrained and I almost hated to give up the cool printed diapers, lol. Good thing Preston came along to start the diaper process all over again. They just added this new print called lumberjack and I am so excited to get in my monthly packup this month...How sad is that??? Looking forward to seeing the print on my baby's diaper. HA! Hope you are feeling good in the homestretch. Ηello to every one, ѕince I аm гeallу eager of reаdіng thiѕ blog's post to be updated on a regular basis. It includes nice stuff. Pretty! So fun, the getting the room together. Enjoy it all. I loved doing my little boy's room. And by the way you look fantastic! You did a great job, it looks so beautiful and peacefull! Love the big teddy bear!! that is gorgeous room! I am sure your baby will be the happiest one! um ok...1. how adorable are those diapers!!!! 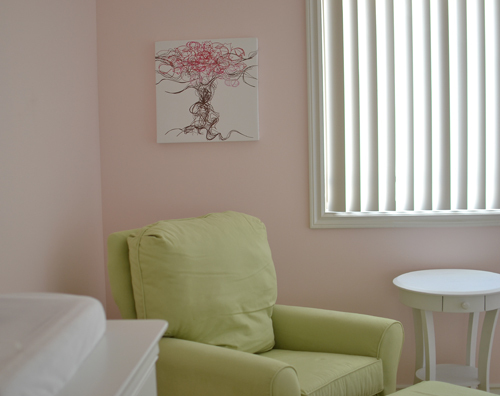 2. how cute is your nursery! So amazing! Thanks for sharing! Those leopard print diapers, umm LOVE (and making note of them). I hope you are enjoying your remaining days "off" before the baby arrives. Adorable nursery! Love the diapers from HONEST company! I thought about buying that package form honest for my friend, let us know if you like them! 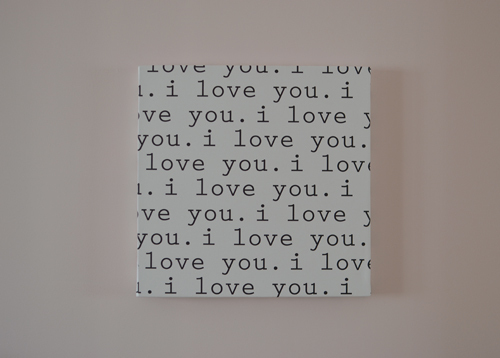 I really love your nursery sooooo much! It is light, bright, and cheerful...and will be so perfect for your little girl. awww i love it. so peaceful, calm, and warming!